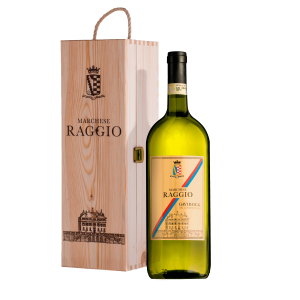 Marchese Raggio Gavi DOCG Magnum 2017 in an elegant wooden box. "In the glass, our Gavi shows a beautiful intense straw-yellow color. 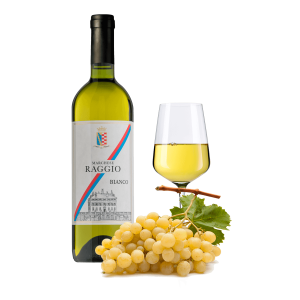 Pleasant fruity aromas emerge together with elegant floral and mineral notes. 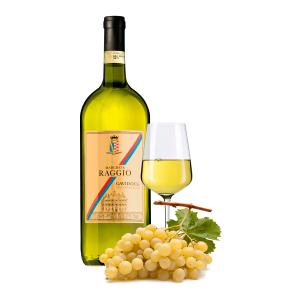 Its flavor is fresh, rich and savory, and the finish is clean and long.” "
La Lomellina di Gavi Società Agricola S.r.l.